At the recent Information Design conference, Karel van der Waarde told us about the impact that European legislation has had on patient information leaflets. These are the pieces of paper that come with every medicine. In 2004, Directive 2004/27/EC amended the European law on ‘medicinal products for human use’. This now states “The package leaflet shall reflect the results of consultations with target patient groups to ensure that it is legible, clear and easy to use”. The associated document ‘Guidance concerning consultations with target patient groups for the package leaflet’ says: “One of the possible ways of complying with the new legal requirement is by performing a ‘user testing’ of the package leaflet. So although usability testing itself isn’t actually a legal requirement, the guidance gives a pretty strong hint that it is the only method of consultation that is likely to be accepted in practice. Karel van der Waarde studied patient information leaflets for his doctorate and is Europe’s leading expert in the topic. So these days he spends much of his time doing usability tests to help his clients comply with this relatively new law. At the conference, he entertained us with some of his practical experiences. For example, medicines that are solely for use in hospitals are caught by the legislation. 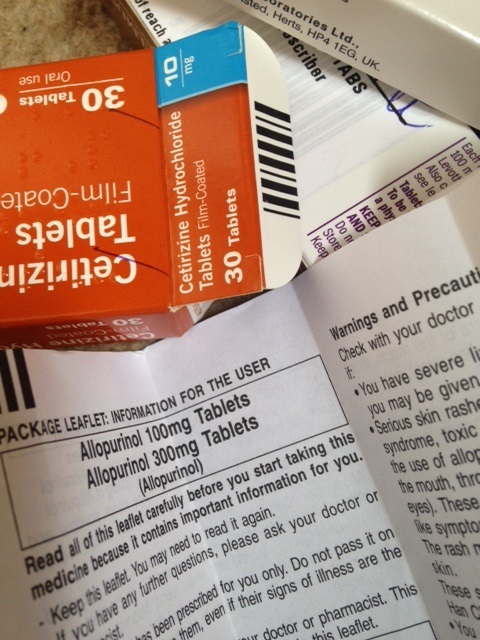 He showed us a picture of a big waste container full of discarded boxes and leaflets: at many hospital pharmacies, the first thing they do is throw away all the packaging, including the leaflets. He told us about testing a leaflet for a medication that is only ever used when the patient is under anaesthesia, a condition that clearly prevents reading anything. My favourite was the story of testing the patient information leaflet for oxygen delivered to hospitals by the truckload. A typical patient information leaflet has about 1600 words, but about 450 of those are specified by the template in the legislation. That restricts creativity. The leaflet cannot include any logo. That would be advertising, which is illegal. But it also makes it more difficult for patients to distinguish between medicines with similar names. You can do what you like on the associated website for the medicine. But you can’t mention the website on the leaflet: that’s illegal. The mandated style of usability testing concentrates on whether patients can understand the information, not on whether they act appropriately on it. That last one struck home with me. A few years ago, I tested a patient information leaflet for a type of medical cream. It included information that the medicine should be kept at a temperature below 25 degrees celsius. Participants were able to find this information easily, but had no idea what it meant in practice: should they keep the medicine in the fridge or would an ordinary cupboard be good enough? Despite the issues, Karel considered that the legislation has had a positive impact. “Jargon has come out. Leaflets have got better”. And I’d dearly love to work in a field where usability testing has been pretty much required by legislation.